We know exactly where the first legs were, and it was not Colombia. It goes downhill from there. So this is not true at all? Italy is not mentioned either. If those are confirm routes, then the sightings on Sydney the other day before Japan and Qatar and probably one of the source mistakenly type Cambodia with Mongolia..!! Those are in NO way confirmed routes, and the sightings in Sydney were for another TAR franchise. It talks about the Baku leg! It might actually say which teams were in Baku, but it might just be saying who was in the race from the start. If that article is right, Baku is Episode 6. Given we know we've got three in South America, two in Europe, and one in Africa before then (Salta/BA/Asuncion, Neuschwanstein/Torino, Ngorongoro), it looks like we're getting a double episode somewhere. Here is a better link to the article. Looks more official. Good catch! However, I think that was from Docol, our agent in Asuncion, so we were already aware of it. I believe it was some of the production team leaving to get an early jump on the next leg. Y'all are ahead of me! The Amazing Race reality show has been shot at the streets of the capital city of Azerbaijan. Unusual things took place in the Azerbaijani capital city in December 2011-the capital city residents were looking with surprise at odd foreigners who were rushing somewhere as if someone is running after them. The racing was in fact unusual. The clarity to the issue was brought by the news service of CineX film company which said that at that very period the world famous reality show The Amazing Race was shot under support of the Ministry of Culture and Tourism in Baku, while the foreigners were not simple tourists but participants of this television show. Among participants there were twin brothers, 2 clowns and even 2 intelligence agents. 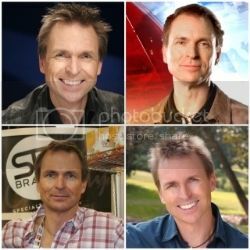 The Amazing race is one of the best, complex and large scale television reality shows. It is also recognized as the most interesting and impressive. The fact is proven by awarding Emmy premium in the nomination ‘Best reality-show’ to the project. The show shot in Baku can be nominated for Emmy next time. The unusual show involves 11 teams of two people linked to each other with different kinship, friendly or professional ties (brothers, sisters, spouses, friends and so on) have been travelling in different cities of the world within 22 days, overcoming all obstacles in a hope to get to the final and win a million of dollars. According to the news service for CineX, the details of the reality show are not made public and by conditions of the project the information about it is still strictly confidential. As is known, the reason will start on CBS channel on 19 February and the series in Baku will be broadcast on 25 March. Baku has been confirmed as airing March 25 from another source as well, so believe this info to be accurate. That would indeed put it as being Leg 6, unless I've been living under a rock and the first episode is two legs. So 7 and 8 would be Tanzania...? No proof of that .... but makes sense? and then leg 9 is an unknown country before heading towards to Japan and Hawaii for legs 10-12? Then its 8 countries in total, and which country is the 7th one? Let's make a guess, I hope it's gonna be on my country, the Philippines. It was speculated to be Laos THIS is unproven though. All the other versions of TAR have been in Australia lately, so I'll throw that out for speculation. But let's try to get back to leave this thread for real spoilers and keep spec over there? Thanks everyone! 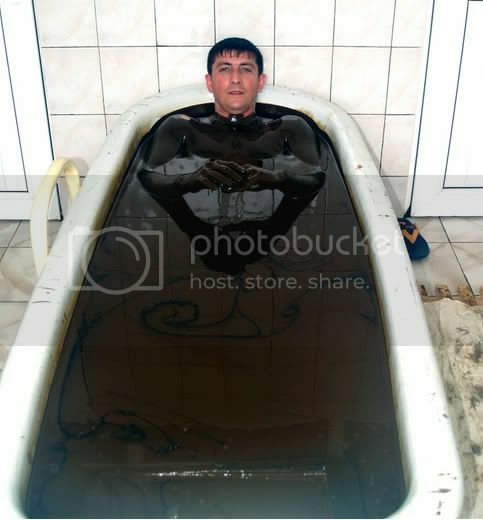 Bathing in crude oil is reputed to soothe the skin and boost energy levels. But, as Luke Jerod Kummer discovers at Naftalan in Azerbaijan, the process of immersion is a far cry from the luxurious spa pampering that most of us enjoy "Why you come sanatoria?" the voice at the end of the phone asks. "Oil," I answer. I'm seated in the doctor's office at the Naftalan Sanatorium, near the battle-scarred territory of Nagorno-Karbakh in Azerbaijan. The health centre is famous for its crude oil baths, which are believed to have medicinal properties and be good for treating skin conditions such as eczema and psoriasis, easing joint pains; and generally calming the nerves. But as no one here speaks English, I'm none the wiser as to what the basis for these health claims might be. Rather, I'm talking to a stranger down a telephone line as banter ensues between my taxi driver, Emar, the "doctor", receptionist and nurses. People once flocked from all over the USSR to health centres in the small town of Naftalan to spend days soaking in the dark, heavy type of crude that's found in this area but is too expensive to refine. Today, western tourists like me are still an oddity. Where does Uganda fits into all this? Uganda has no relationship to AR20. The advance-man who died apparently returned to his work headquarters in Uganda after finishing work for AR20 in Tanzania. He was confronted in Uganda. Page created in 5.623 seconds with 34 queries.